How do I know when fall is approaching. Do I look at the calendar...nope. I know there is a technical first and last day of each season, but they seldom correspond to what we experience in the great outdoors. Animals too are somewhat unreliable. My dad would often tell me that seeing a lot of one animal or none of another meant summer was going to be late, or winter would be extra nasty...but it seldom held any truth. 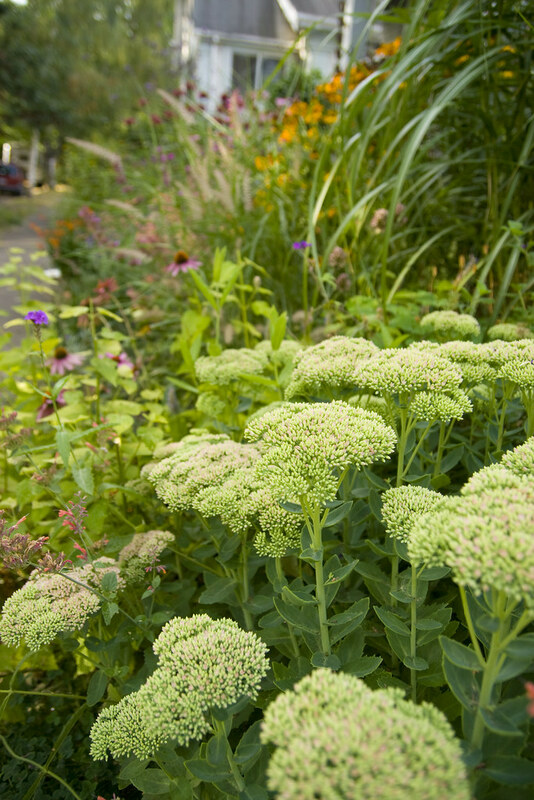 So how do I know fall is approaching...I look at my Sedum. Once I see that first blush of color, I know I'll soon be bidding adieu to summer. It's especially useful this year, because if you walked down our streets any time in the last few weeks, you might think it was the first week of October. Hot, dry weather along with strong winds have caused trees to drop a lot of leaves prematurely this year. There are already mounds of oak and birch leaves all around the neighborhood...which causes a bit of sensory conflict. It's 96° out, but it looks like Autumn...hmmm. What? Those are not giant broccoli stalks???? 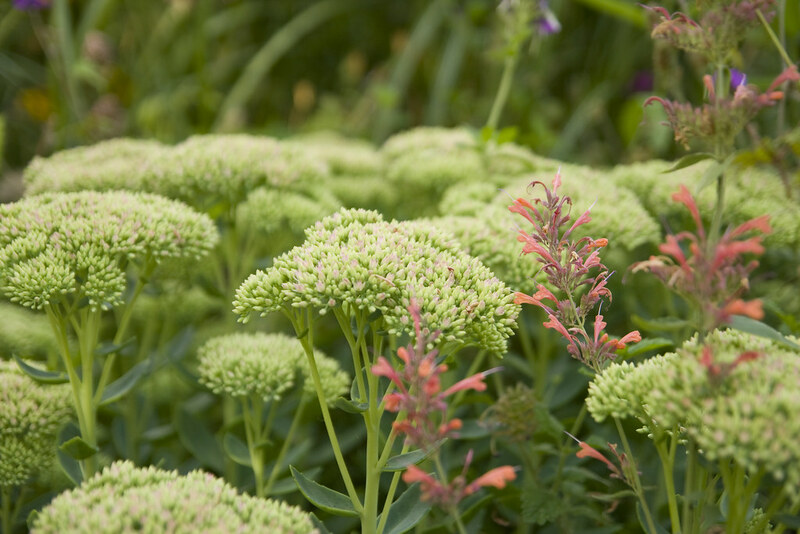 I remember turning Sedum, what we then called frog plant, into balloons. Somehow we would rub the outer skin loose from the rest of the leaf. A puff of air to inflate for easily amused kids.